This article is about the currently active Italian Army Aosta Mechanized Brigade. For the historic Italian Infantry Division, see 28 Infantry Division Aosta. The Aosta Mechanized Brigade is a mechanized infantry brigade of the Italian Army, based on the island of Sicily. The Brigade is one of the oldest of the Italian Army and the name connects the brigade to its original area of recruitment the Aosta Valley. After the ascension to the throne of Charles Albert of Sardinia on 27 April 1831 a major reform of the military of the Kingdom of Piedmont was undertaken. Thus on 25 October 1831 the Aosta Brigade was raised with two infantry regiments. These two regiments were the "His Royal Highness Fusilier Regiment" (Reggimento Fucilieri di Sua Altezza Reale) founded on 20 February 1690 and a newly raised Infantry Regiment. From 1 November 1815 to 25 October 1831 the "HRH Fusilier Regiment" was known as "Brigade of Aosta" (Brigata di Aosta), however in size and function this brigade was an infantry regiment with just two battalions. Between 1774 and 1799 the "HRH Fusilier Regiment" was known as the "Regiment of Aosta" (Reggimento di Aosta). Initially each regiment consisted of three battalions: the 1st and 2nd battalions fielded each three companies of fusiliers and one company of grenadiers, while the third battalions consisted of four companies of skirmishers. A fourth battalion was added to each regiment and the companies personnel strength was increased. By 1839 each regiment fielded four battalions, which in turn fielded 4 companies of 250 men each. In 1839 the regiments of the Aosta were numbered and renamed as 5th Infantry Regiment Aosta Brigade and 6th Infantry Regiment Aosta Brigade. The brigade participated in the First Italian War of Independence fighting in the battles of Santa Lucia, Goito, Pastrengo and Novara, where the 5th Regiment was awarded a Silver Medal of Military Valor. In 1855 the brigade provided two battalions for the Sardinian Expeditionary Corps in the Crimean War. In the Second Italian War of Independence the brigade was employed in the battles of Magenta and Solferino. The brigade was awarded a Gold Medal of Military Valor for its conduct at Solferino. Furthermore, the IV Battalion of the 5th Regiment was awarded a Bronze Medal of Military Valor for its conduct during the Battle of Aspromonte. In the following years the brigade was employed in Calabria and the region of Salerno to suppress the popular revolt of the peasant population against the annexation of the Kingdom of the Two Sicilies into the new Kingdom of Italy. In the Third Italian War of Independence the brigade fought in the Battle of Custoza. Single battalions of the brigade were employed in the First Italo-Ethiopian War and the Italo-Turkish War. At the outbreak of World War I the brigade was based in the city of Gemona with its two regiments fielding three battalions each and each of the battalions consisting of four companies and a machine gun section. The 6th Regiment was the first to see action on the Italian front when it tried to conquer the Plöcken Pass on 3 July 1916. 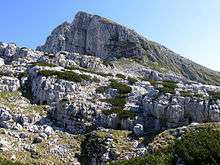 Afterwards the brigade reinforced by two battalions of Alpini was given the task to conquer Monte Rombon. In 1916 the brigade was engaged in combat in the region of Kras. From 22 to 26 November 1917 the brigade defended the summit of Col della Berretta on the Monte Grappa massif during the Battle of Monte Grappa, which managed to end the Austrian advance after the Battle of Caporetto. In October 1918 the brigade conquered the summit of Monte Valderoa and held it against repeated Austrian counterattacks. For this last engagement of the World War I the Aosta brigade was awarded its second Gold Medal of Military Valor. After the end of World War I the brigade moved to Sicily and was garrisoned in the city of Palermo. 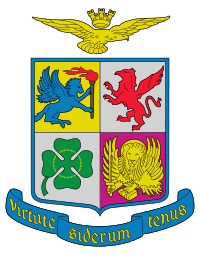 In 1926 the brigade gained the 85th Infantry Regiment Verona and changed its name to XXVIII Infantry Brigade. Along with the 22nd Artillery Regiment the brigade formed the 28th Division. In 1939 the brigade lost the 85th Infantry regiment and was renamed 28th Infantry Division Aosta. This binary division consisted of only two infantry regiments (5th and 6th) and the 22nd Field Artillery Regiment. 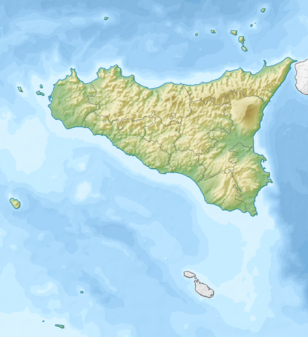 The division remained based in Sicily and was tasked to defend the island against landings by Allied forces. On 9 July 1943 the Allied invasion of Sicily began and the division was badly mauled by US Army troops during the Battle of Troina in the North of the island. The remnants of the division were evacuated to mainland Italy between 9 and 12 August 1943. After the Armistice between Italy and Allied armed forces of 8 September 1943 the division was disbanded by German Forces. On 20 September 1944 the Aosta was raised again on Sicily as part of the Italian Co-Belligerent Army. The new unit was named Aosta Internal Security Division and consisted of the III and IV Internal Security Brigades. On 15 August 1946 the Aosta Internal Security Division renamed and reformed as Aosta Infantry Brigade on Sicily. On 1 September 1946 the regiments of the division returned to their old names 5th respectively 6th Infantry Regiment Aosta and were based in Messina and Palermo. With the expansion of the Italian Army after World War II the brigade was expanded to a full division on 1 February 1948 and the two Aosta infantry regiments were joined by the 46th Infantry Regiment Reggio and the 22nd and 24th Field Artillery Regiment. However already on 15 June 1955 the division began to shrink with the disbandment of the 6th Infantry Regiment. The III Battalion of the 5th Infantry Regiment received the colors and traditions of the disbanded regiment. 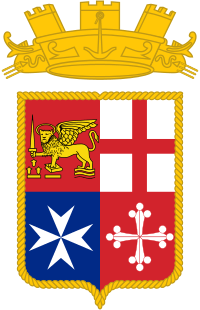 The Division was under the command of the XI Military Territorial Command/Sicily Military Region in Palermo, which had administrative command of all units based in Sicily and was tasked with the defense of the islands of Sicily, Pantelleria and Pelagie. On 21 February 1961 the division was reduced once more to infantry brigade and consisted now of the 5th Infantry Regiment Aosta (with three infantry battalions), the LXII Armored Battalion and the Field Artillery Group Aosta. Minor units of the brigade were a Signals and an Engineer company. During the next years the Aosta Logistic Battalion was raised in Messina. The 46th Infantry Regiment Reggio turned into a training unit under direct command of the XI Military Territorial Command. With the end of the Cold War the Italian Army began to disbanded a large number of its mechanized brigades in Northern Italy in 1991 and redistribute their material: the Aostas infantry battalions received VCC-2 armored personnel carriers, while the 24th Peloritani was equipped with M109 self-propelled howitzers. 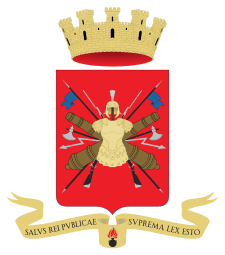 Accordingly, the brigade changed its name on 18 August 1992 to Aosta Mechanized Brigade. In the same year the brigade began its six-year involvement in the Operation "Sicilian Vespers" a security and policing operation in Sicily undertaken by the Italian armed forces between 25 January 1992 and 8 July 1998. After the end of the Cold War the brigade continuously changed composition as the Italian Army was drawing down its forces and moving a large number of units from the North to the South of the country, as most volunteers came from the economically less developed Southern regions. All regiments are battalion sized. The infantry regiments and the Bersaglieri regiment of the brigade are equipped with Freccia wheeled infantry fighting vehicles. The Lancieri di Aosta regiment is equipped with Centauro wheeled tank destroyers and Puma 4x4 armored personnel carriers. The artillery regiment fields M109/L self-propelled howitzers.